A union leader has called for more Scottish government funding as Aberdeen councillors prepare to discuss pay cut proposals for staff. The Lib Dem/SNP administration wants staff on more than £21,000 to take a voluntary one-year cut of 5% in a bid to stave off compulsory redundancies. An emergency meeting of the full council has now been arranged for Wednesday. Unite regional organiser Tommy Campbell called for more funding. He told BBC Scotland the local authority should plead with ministers for more money if there was no alternative to compulsory redundancies. The Labour opposition says the council should instead be working with unions on voluntary redundancies. 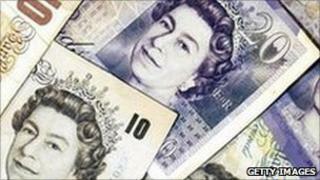 Aberdeen City Council last month approved plans to cut £120m from its budget over the next five years.